In 1846 and 1847, Alexander Caulfield Anderson made two explorations across the mountains that separated the HBC fort at Kamloops, from Fort Langley on the lower Fraser River. Discussions about the placement of the boundary line between Oregon Territory and British Territory were ongoing, and the HBC’s Governor Simpson agreed it would be best if they were prepared, should the boundary line follow the 49th parallel west. Even after the boundary line was declared in 1846, the fur traders were allowed to remain in American territory along the Columbia River. Eventually they would be evicted, and would have to bring out their furs to the coast in British Territory. 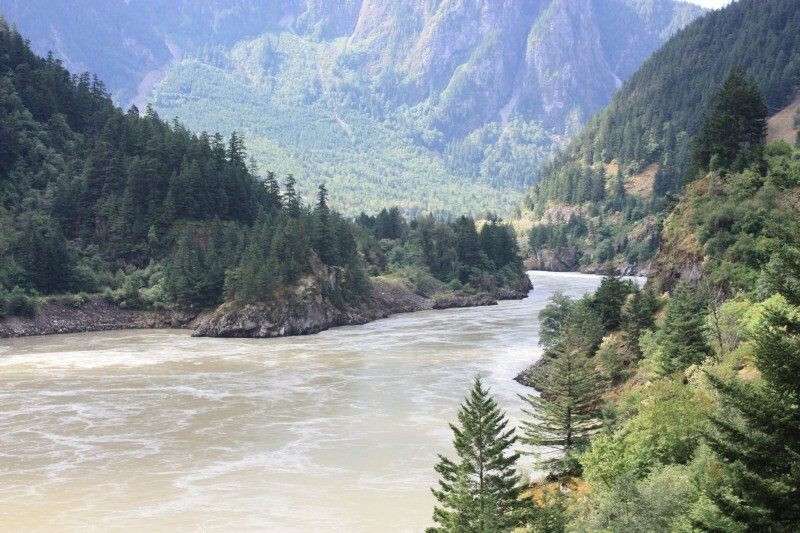 There was, however, no trail that led to the coast, and Simpson himself knew that travelling down the Fraser River was too dangerous for boats and canoes. Anderson’s first trail took him south and west by Seton, Anderson, and Harrison Lakes to Fort Langley, but he declared it an impractical route. His return journey took him via the Coquihalla and Nicolum River to Rhododendron Flats, where he climbed over the Coquihalla Mountain and reached the fur traders’ “Similkameen” district at Tulameen, B.C. Because of summer snow on top of the Coquihalla Plateau he did not consider this a good route for the heavily loaded pack horses of the brigades. 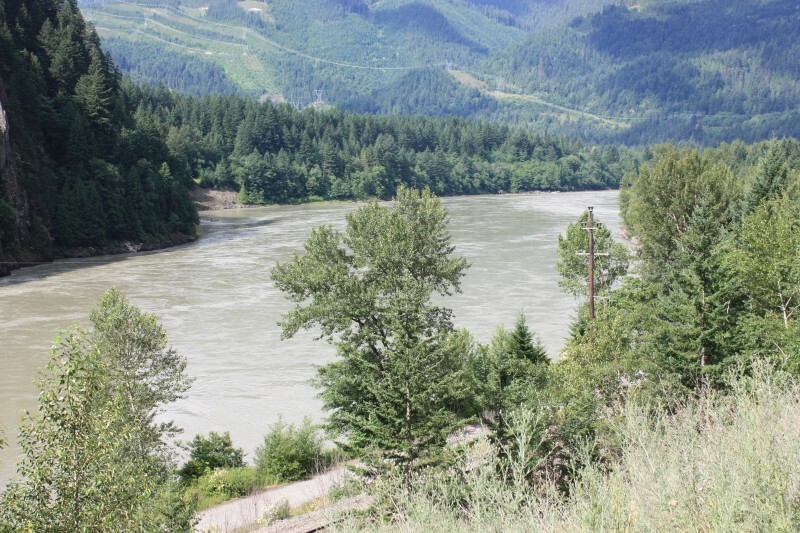 In 1847 Anderson set out again, following the Thompson River west to its junction with the Fraser. His party then walked down the banks of the Fraser to the river that was later named for him: Anderson’s River. There his Native guides (Tsilaxitsa and Blackeye’s Son) showed him their newly opened trail that would take them over the mountains behind Boston Bar, to the Coldwater River and Nicola Valley. 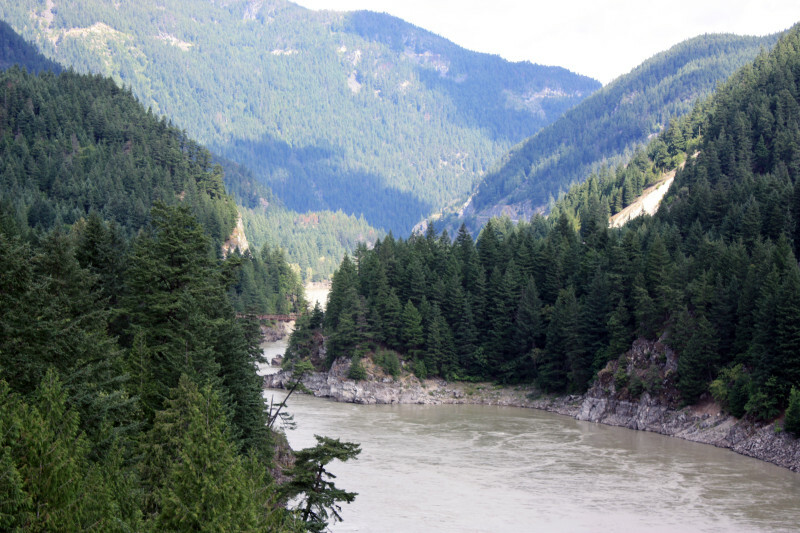 Then Pahallak showed him the route from Anderson’s River to Kequeloose, a Secwepemc village on the banks of the Fraser River south of Hell’s Gate Canyon. Anderson and his men considered this route rugged, but with a lot of work they thought it would be safe for the many horses of the outgoing brigade. In November 1847, the massacre of the missionaries at Waiilatpu Mission, near Fort Nez Perces, threw the entire Columbia district into war. The Gentlemen at Fort Vancouver ordered the Fort St. James, Kamloops, and Fort Colvile men to come out to Fort Langley over Anderson’s unimproved trail via Anderson’s River, and Pahallak’s trail, to Fort Yale. This brigade was twice as large as normal, and four hundred horses came out over this mountainous route that year. It was not an easy journey, and no one kept a journal. However, on the return journey from Fort Langley to Kamloops, clerk Henry Newsham Peers kept a journal. It is found in the B.C. Archives: its old number is E/A/P34A (but it might be stored under a new number by now). 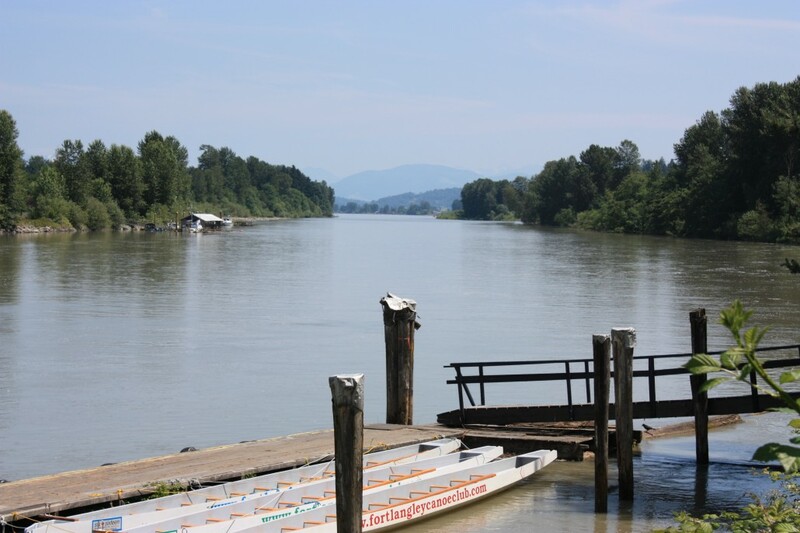 They then traveled up the east bank of Fraser River past the rapids, over a horse trail freshly cut into the woods by the Fort Langley men. The image below shows the roughness of the country. This is not a horse-friendly country. When Anderson came down the Fraser in 1847, he walked down these river banks. In 1848 the brigade came upriver via a rough trail cut into the woods on the opposite bank. The Native village of Kequeloose, at the base of the trail that led up the Big Hill, stood on this point of land. But if you have stumbled onto this post, and wish to return to the beginning, start here: http://nancymargueriteanderson.com/pathfinder/ and follow the connecting links. I also have copies of “The Pathfinder” available. My second book, with Working Title “The York Factory Express,” is in the hands of my editor, and I have begun writing my third book — Working Title: “Brigades.” This story will be a part of it. Thanks for your interest, and for following me around the province of British Columbia. Enjoy! Copyright Nancy Marguerite Anderson, 2014. [Updated July 26, 2015]. All rights reserved. What delightful adventures you pursue ! My mom lived and died in your valley, except the church she attended was the wee white catholic one down by the sea on the Indian reservation.However, my favorite was your Saint Steven’s all hoary with moss and lichen and vines. Wasn’t it marvelous ! Just wanted to pass on that Joseph LaMothe did not” disappear into the west”.After murdering James King he had distinguished careers in the fur trade,in the military as a commander of native warriors in the war of 1812,and in the Canadian Indian Department.Had 5 kids and died suddenly at age 45.The kind of future ,I guess, he terminated for King. Thank-you for your deep investigations. And I know he didn’t; he returned to the fur trade on the Saskatchewan River. This sounds personal; is he an ancestor of yours and if so, he is in my next (planned) book so would appreciate further information. Thanks for commenting — appreciate all commenters (well, those that aren’t spammers).